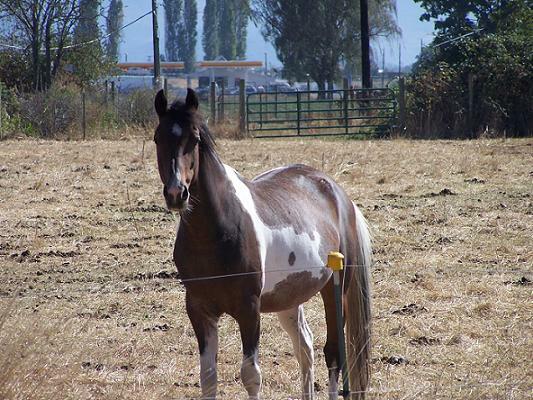 Johnny is a 1983 bay/white tobiano American Saddlebred Stallion. 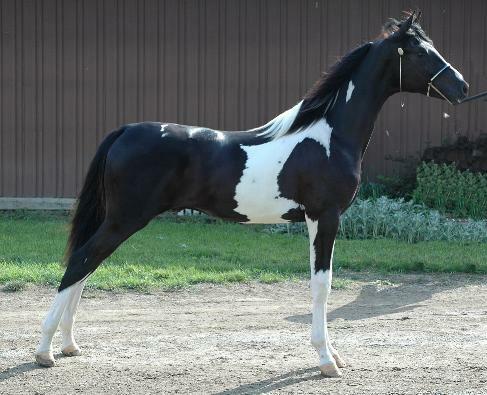 He is also registered Pinto and is a life-time approved sire for National Show Horse. He is 5-gaited. In his bloodlines are many notable Saddlebreds stallions including: CH Rick Rack, CH Wing Commander, Bourbon Masterpiece, 2 times to Shamrock's Golden Boy, 2 times to Stonewall King, and 3 times Ch Anacacho Shamrock. Johnny has produced both 3 and 5-gaited foals. 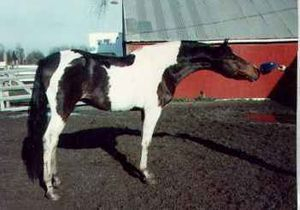 He has produced numerous NSH and pinto foals. 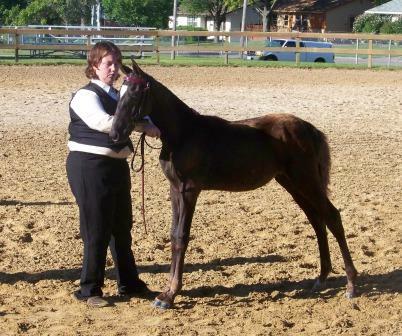 Johnny's first purebred Saddlebred foals were in 2007 and expecting foal from outside mare in 2010. 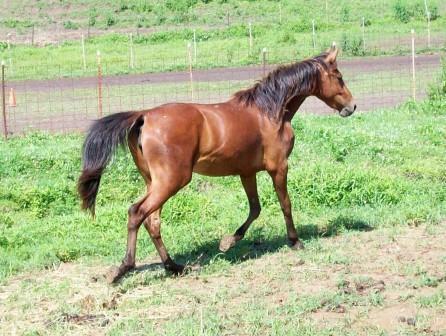 To see pictures of his 2009 and 2010 foals check-out the photo gallery. Johnny passes on a beautiful eye, straight legs, good movement, and great dispositon. Both he and his foals are easy to work with. 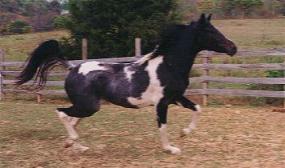 In his younger days Johnny competed very successfully on the West Coast in the Pinto Circuit. His offspring and grand offspring have been money earners, Champions, and ribbon winners in Futurities, Halter, English Pleasure, and Western Pleasure. Congratulations to Jolene C on her new colt!